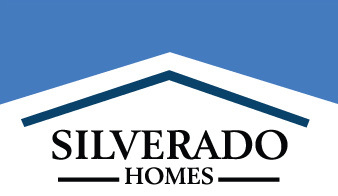 Silverado Village in Placerville now has three new homes ready for December move-in. With 2016 soon coming to a close, homebuyers looking to take advantage of a home purchase this year are encouraged to visit the sales center. Silverado Village is a unique, senior-focused community that features a blended environment where you can own your own home and run the household, but get assistance and enjoy recreation and social activities if and when you want them. Silverado Village in Placerville is a community of 113 residences offering single story homes from 1,207 to 1,590 sq. ft.
All homes at Silverado Village in Placerville include amenities built around senior needs and feature everything from easy-to-use lever style door hardware and controls on all plumbing fixtures, lower set cabinets and microwaves for better accessibility, no-step walk-in showers, recessed lighting at all travel paths and emergency pull cords and remote pendants for enhanced peace of mind. These amenities are in addition to build features such as R-8 duct insulation, upgraded R-38 insulation, radiant roof barrier, tankless hot water heaters and homes built 18% more efficient than California energy efficiency requirements. The community brings safety, security and peace of mind with exterior home and landscape maintenance, wireless emergency response systems and a wide variety of service and care choices such as healthy home-delivered and take-out meals, enhanced security and a wide variety of in-home care and service options. And, if or when the need arises, there are assisted living apartment accommodations for homeowners. Silverado Village communities offer priority access to the Eskaton Lodge and the homeowner Village Center which includes an indoor heated pool and spa, a fully-equipped fitness center, aerobics classes, billiards, multi-purpose room for arts and crafts, a Bistro Café (coming soon) and more.